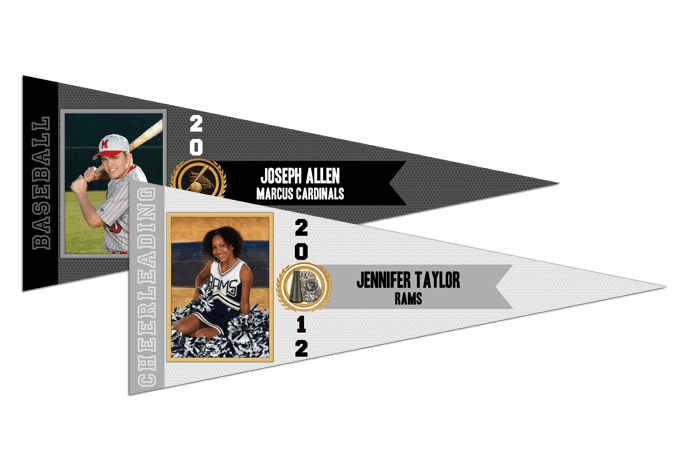 PENNANT CLINGERS Pennant Clingers – Support your favorite player or team with our 3×7.5, 6×15, and 12×30 inch pennants! Perfect for laptops and lockers! Made from a durable, repositionable adhesive material. Ink-jet printed. Single-sided. Not intended for outdoor use.